You can require families to fill in SE Registration information when they use online registration. This article assumes you will edit an existing registration. 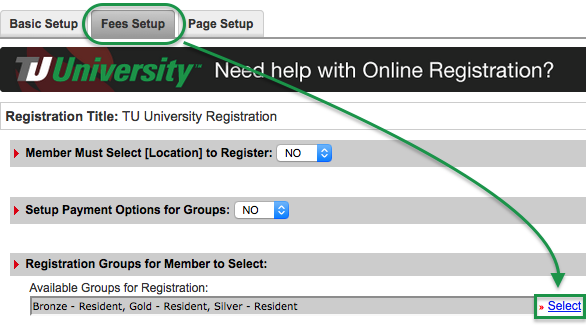 If you need to add a new registration or clone an existing one, please see our online registration guide in TU University. Either click Add New or click an existing registration group name. 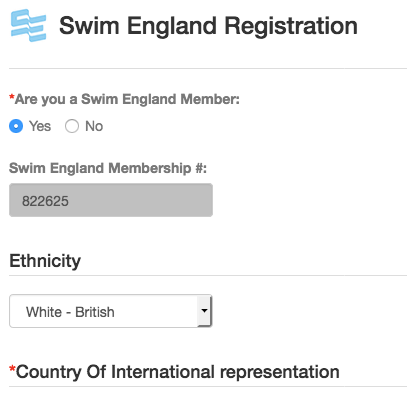 Set the Swim England Registration Required drop down to Yes. Fill in the Description if needed. During registration, when a registrant selects a group that has SE Registration Required set to Yes, the following will show up for them to complete (this will apply to all members being registered to a group that has this feature turned on).